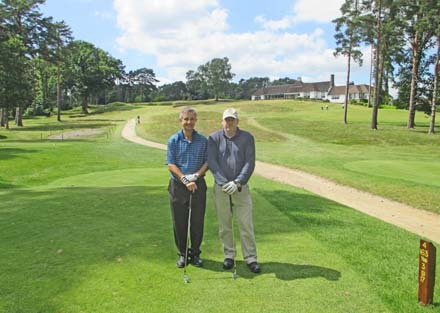 The Master’s Golf Day was held at Worplesdon Golf Club in Surrey on Tuesday 23rd June. Worplesdon is a Surrey heathland course which is 107 years old, designed by Abercromby, and 82nd on the list of top 100 courses in the UK. After a convivial Carvery lunch in Worplesdon’s Spike bar, the temptation was to sit on the terrace with a glass of Pimms enjoying the views across the course. A call to arms was made and we eventually started our round. Richard Dyson’s guest, Mark Batley, was the Guest winner with 36 Stableford points and Jeremy Brassington was the Feltmaker winner with 36 points. There were also prizes for nearest the pin -Nick Lee, and longest Drive –Nick Mellstrom. It was a long but enjoyable afternoon and we retired to the Spike bar for a Ploughman’s supper to recount stories of what might have been – if only I had holed that putt on the 18th…. A number of our golfer Feltmakers were away on holiday so could not make the day. We will look at some earlier dates in the calendar for next year’s Master’s Golf Day.